After traveling for more than ten years and four billion miles, Rosetta became the first spacecraft in history to rendezvous with a comet. But, it some ways, the spacecraft's work has only just begun. 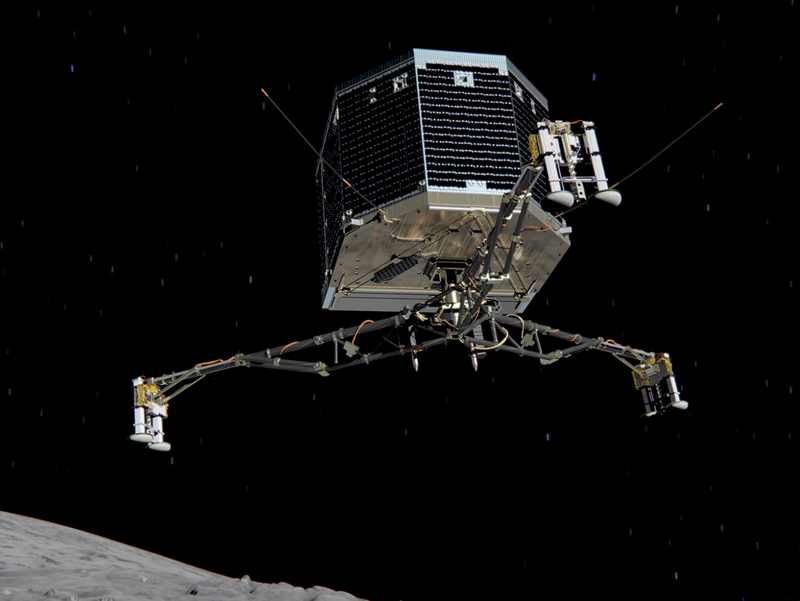 One of the next challenges will be selecting a safe spot for Rosetta's lander, Philae. Over the next few months, Rosetta's corkscrew orbit will bring it even closer to 67P/Churyumov–Gerasimenko, trimming its distance from the current 60 miles down to 30 miles and then 18 miles. In the meantime, scientists will use the observations to scout for potential landing sites. First Close-Up Photos Of The Solar System&apos;s "Most Crazy Bonkers Comet"
One fear when the lander was being designed was that it would rebound from the surface —but this was when they still thought the surface would be very hard. Indications now are that surface appears to be soft, so rebounding won't be such an issue. We'll soon find out what the surface is made of, but in any case, the lander is equipped with a harpoon system and ice screws to secure it to the surface. In addition, the touchdown will be at a speed of just 1 m/s. 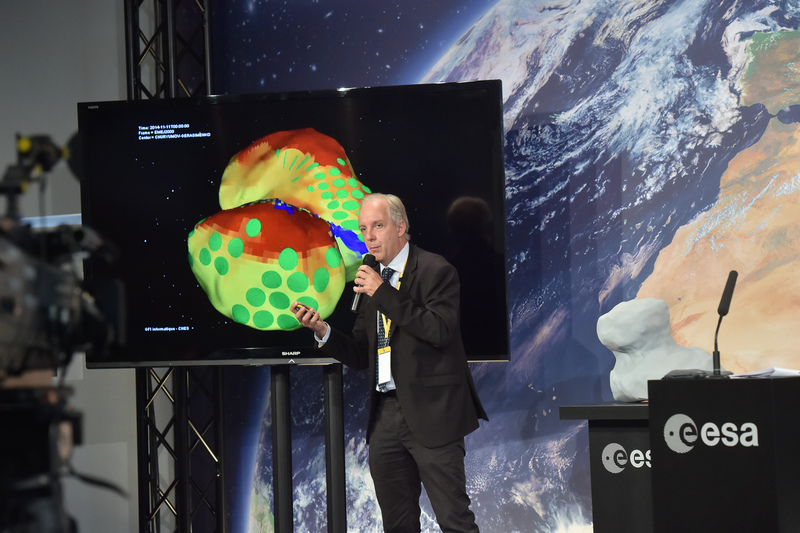 Stefan Ulamec, the Philae Lander Manager (above) said: "this is like walking and bouncing against a wall; it hurts but it won't kill you!" But what about the surprising comet shape? Not the standard 'potato' that everyone was expecting – more like two potatoes stuck together, or even a duck. Already, there has been a very preliminary analysis carried out showing some potentially interesting sites based on the illumination conditions and flight dynamic restrictions.